Emmett Cullen (born Emmett McCarty) is a fictional character in Twilight, a young adult series written by author Stephenie Meyer. Emmett was changed into a vampire by Carlisle Cullen in 1935 when he was 20, two years after Rosalie Hale had been changed. Emmett was up hunting in the mountains of Tennessee when he was mauled by a bear. He had nearly died from the attack before Rosalie found him and carried him over a hundred miles back to Carlisle, who turned him into a vampire in an effort to save his life. Emmett describes this experience as being saved by an angel who brought him to God, saying in Eclipse, "Hell's not so bad if you get to keep an angel with you." Rosalie confesses to Bella that she saved Emmett from death because his innocent appearance reminded her of her best friend's child, Henry. 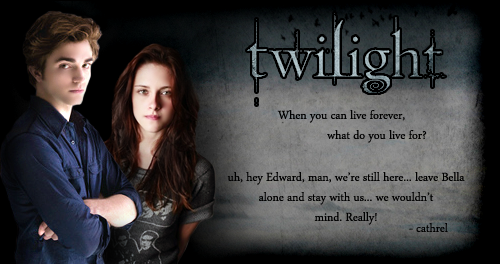 After the painful process of changing ended, Rosalie and Carlisle explained to him that he was now a vampire. This did not upset Emmett, however, as Rosalie and Carlisle had thought it would. He put in his own words, "But if Carlisle and Rosalie, my angel, were vampires, how bad could it be?" He did, however, have trouble adjusting to the "vegetarian" rules of the Cullen family at first, and has tasted human blood on several occasions. Emmett is described as being very tall, burly, and muscular, and- to most humans- the most intimidating of his adoptive siblings. 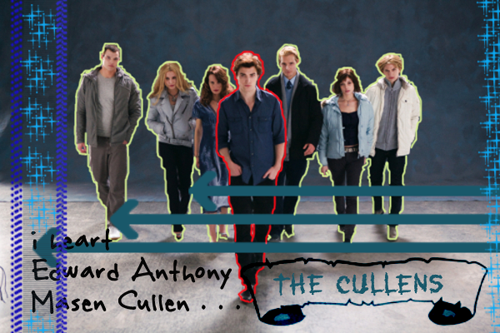 Standing at 6'5", he is the tallest of the Cullens. He is described as having slightly curly, black hair. Like the rest of the Cullens, he has pale skin and golden eyes that darken as he becomes more thirsty. Bella describes him as like a big teddy bear. Bella describes Emmett as "a big, scary teddy bear." He has a cheerful disposition and is described as having a "big, booming laugh". He is also described as having the most physical strength out of all the Cullens, and he often enjoys this advantage. Rosalie is Emmett's wife and true love, and they've been in love ever since Rosalie saved Emmett's life. They are officially married, and sometimes live away from their family as a married couple. EMMETT! he's the the best big brother you could ask for. he seems promising for THAT part. » Help with a warband.